Two Japanese journalists have been found dead on a mountain after setting off to find the wreckage of a rescue helicopter that crashed in the area last week. Reporter Yuji Kita and cameraman Jun Kawakami, who were working for Nippon Television, were found in a pool of water 980ft below a mountain trail near the city of Saitama, northwest of Tokyo. According to Kyodo News, autopsies have confirmed both men drowned. The helicopter had crashed the previous Sunday while attempting to rescue a female climber, killing five of the seven passengers. The climber later died from her injuries. Nippon Television staff alerted the authorities on Saturday night when Kita and Kawakami, who headed into the mountainous area earlier that day, failed to return. Police in the region had asked media organisations to refrain from gaining access to the crash site due to the terrain was dangerous. This entry was posted in Journalism and tagged Japan, Jun Kawakami, Kyodo News, Nippon Television, Yuji Kita on August 2, 2010 by Davet Hyland. According to this New York Times piece, cit-j and digital media is yet to take off over in Japan. And it is not just the so-called citizen journalism sites that have failed here. No online journalism of any kind has yet posed a significant challenge to Japan’s monolithic but sclerotic news media. This entry was posted in Editors' pick, Newspapers and tagged Japan, New York Times on June 22, 2010 by Judith Townend. Cited as the end of an era, the Sobu Line train, which carries the evening editions of seven newspapers in two carriages, will make its last journey next month before being replaced by trucks in a move to reduce the costs of newspaper distribution by a third. According to the Times, it is the only train still reserved for transporting evening papers in Japan. This entry was posted in Editors' pick, Newspapers and tagged Japan on February 10, 2010 by Laura Oliver. Bloomberg has launched a new-Japanese language version of its website offering news, photos, graphics for a Japanese audience and tools for tracking the Japanese market. Full details of the new site can be found in the Bloomberg release at this link. This entry was posted in Online Journalism and tagged Bloomberg, Japan on October 13, 2009 by Laura Oliver. Who? Multimedia reporter specialising in Japan, health, business and technology. What? Has worked for Sky News Online, Homovision, BBC Online and Journalism.co.uk. Contact? freelance [at] alexwoodcreates ( dot ) com. This entry was posted in Recommended journalists and tagged #followjourn, Alex Wood, BBC, freelance [at] alexwoodcreates ( dot ) com, in Japan, Japan, Journalism.co.uk, multimedia reporter, reporter, Sky News on July 3, 2009 by Laura Oliver. CNN Technology: How can EveryBlock’s model be used worldwide? Can ultralocal news and information site EveryBlock’s data-driven model be adopted more widely, asks Steve Mollman. Related models could see success in Japan and Scandinavia, he suggests. “The EveryBlock revenue model would play into building local economies perfectly as well, by helping disseminate more localized advertising,” says Japanese market entry and strategy consultant, Tei Gordon, in the piece. This entry was posted in Editors' pick, Online Journalism and tagged entry and strategy consultant, EveryBlock, Japan, localized advertising, Scandinavia, Steve Mollman, Tei Gordon on March 23, 2009 by Laura Oliver. 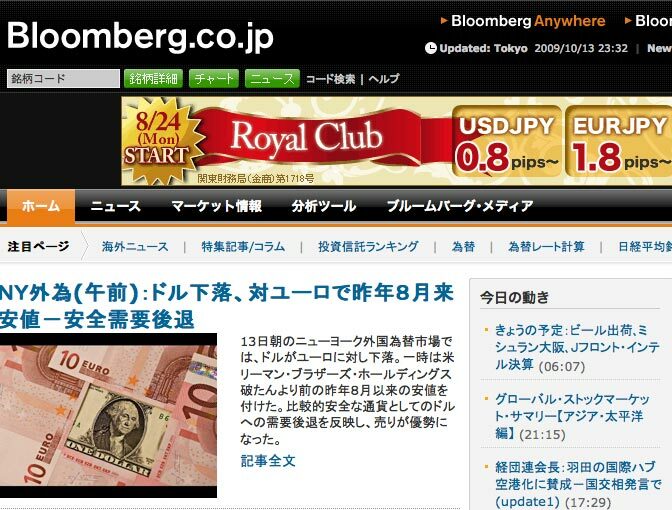 Yahoo’s Japanese-language news site is allowing users to submit and edit contributions. The idea is to create a wiki-style news section based on the expert knowledge of individual contributors. This entry was posted in Editors' pick and tagged aggregation, International, Japan, news site, TechRadar.com, wiki, Yahoo on August 26, 2008 by Laura Oliver.